More about Pleasonton’s passion– and the craze that it provoked– at Public Domain Review. The full text is here. 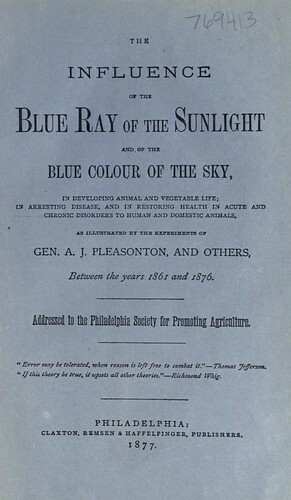 While Pleasonton’s particulars were off, he did spur the formation and growth of the field of chromotherapy– in which blue light has, in fact, emerged as relevant (and here). * Big Bird, in Sesame Street Presents: Follow That Bird. Written by Randy Sharp. 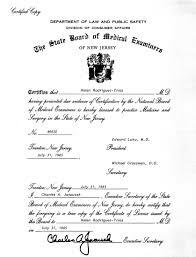 As we step away from the monitor, we might recall that it was on this date in 1772 that the soon-to-be state of New Jersey passed the first law in the US to license medical practitioners, except those who do not charge for their services, or whose activity is bleeding patients or pulling teeth. There is to this day no federal medical licensing law.